Ward and Smith, P.A. 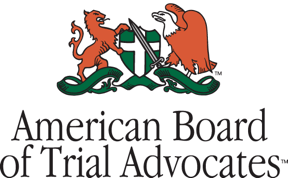 2015 Legal Marketing Association Achievement - Ward and Smith, P.A. Ward and Smith, P.A. congratulates Shannon E. Lanier, Marketing Communications Manager, who was recently named 2015 Member of the Year by the Legal Marketing Association's ("LMA") Southeastern Chapter ("LMASE") at its Regional Conference in Atlanta. The selection was made by a national panel of judges from the legal community. The LMASE award recognizes legal marketing professionals' leading designs and creative strategies. LMASE is one of the largest in the international LMA organization, covering nine states with 12 sub-chapters, called City Groups, throughout the region, serving more than 450 members.